House & Home featured Andy Warhol’s Pop Art Exhibit, Andy Warhol Revisited, in the July 1, 2015 article, “Andy Warhol’s Pop Art Exhibit Comes To Toronto.” The article highlighted Warhol’s Pop Art Exhibit through iconic paintings and prints circulated for a six-month period. 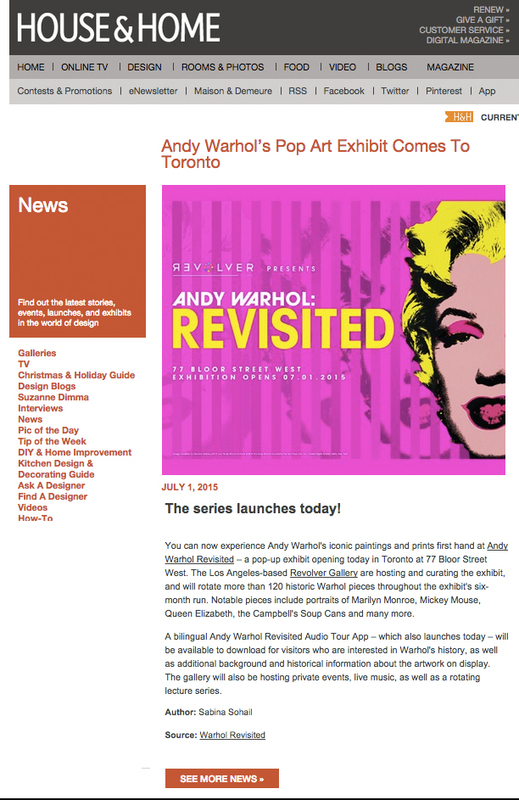 To learn about Warhol’s history, the article recommended visitors to download a bilingual Andy Warhol Revisited Audio Tour App for historical information about the artworks on display. Visit House and Home for details.